What happens when you combine water and dramatic architecture? You get magical cities that perform astounding balancing acts on water. Canals have served many important purposes throughout history, but they serve as the lifeblood of the following cities. Why drive when you can sail into the heart of a destination and watch their culture and wonders majestically drift by? Aarhus might very well be one of Denmark’s most best kept secrets, where travelers become entranced by its magical spell from the moment they arrive. The large Dutch masterpiece is majestically erected out of the Jutland Peninsula, offering a beautiful combination of land and water. As much as it honors its history with century-old centerpieces like the cathedral and The Old Town Museum, vibrancy consumes the city’s atmosphere, creating a home where students and tourists from all walks of life can bask in its cosmopolitan flair. However, Denmark’s second largest destination comes alive along its waterways as well. In the heart of Aarhus, colorful buildings stand side-by-side architecturally decorating the city’s waterfront. Constantly buzzing with activity because of the cafes and restaurants dotting its historic façade, it is also the perfect location to enjoy the culture of the city. Aarhus is a town that never fails to impress, and once you're entranced by its cobbled streets and witness the reflection of its beauty mirroring off of its streams, you’ll see why it is worthy of discovery. Alappuzha is a long way from Venice, the City of Canals, but its plethora of sparking channel convey a different message. The quiet town is full of many surprises, particularly because of its wealth of dense trees shading the canals etched into its landscape. In fact, you’ll need to bring your sea legs with you if you are up for an adventure. But if you are more inclined to stay dry, houseboats are available for rent to explore the Kerala backwaters that are connected the city. Also known as Alleppey, this remarkable city on water is one of the few places in the world where exploring its heritage involves spending most of your days floating on water. Even locals can’t get enough of its canals, creating the Snake Boat Race where rowers annually migrate on its waterways to compete for the coveted Nehru Trophy. The ancient Dom Tower is a great place to start if you want to capture a bird’s-eye-view of one of Holland’s most dynamic cities, but it’s the sparkling waterways that lays at its feet is what makes this location unique. Not to confuse it with the famed Amsterdam, the town of Utrecht stands on its own as a melting pot of colors, offering plenty of old treasures while vibrantly looking towards the future. Utrecht is blessed with many attractions that make its petite size seem as grand as a great metropolis. Whether it’s standing in the ghostly presence of the eight fortresses dotted along the Dutch Waterline or dipping in and out of the shops sprinkled along its waterfronts, every corner of Utrecht exudes Holland’s eccentric style. Of course, no visit to the city would be complete without cruising past the trees as well as its canal-side architecture. From pedal boat rides to canal excursions, why walk when you can sail? You may think this small town is the loveliest place in the world, and everyone who has traipsed its streets will have to agree. When it comes to Ghent, it has its own unique way of keeping visitors entertained no matter where they are in the city. Its medieval obsession is echoed throughout many of is attractions, including the Saint Bavo Cathedral, Gravensteen castle as well as the 14th century belfry and along the Graslei harbor. Once you’ve directed your attention off of its architectonic structures, the town’s dazzling streams are always ready for a photo-op. Although it is merely an hour away from vivacious Bruges, Ghent beats to the sound of its own drum, where guests are cordially invited to take a peaceful stroll amid the fragrance of the past or glide along its winding channels. It is every romantic’s dream come true. A place dominated by its waterways, yet relishing in their serene beauty. A destination stunningly dressed in stone masterpieces concealing captivating stories of triumph and tragedy. This glorious city standing on water is Venice, or as many like to refer to it, the City of Canals, and justifiably so. 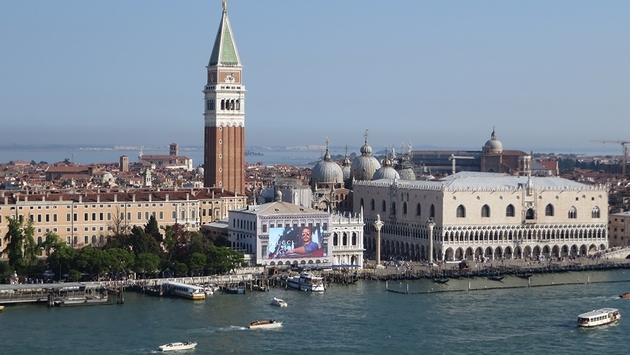 Even Venice’s St. Mark Square seems to be submerged up to its knees in a peaceful bath. To explore its channels up close, hop on board a gondola and let its riders guide you through its heritage as neoclassical, Venetian Gothic and rococo structures float by. The Grand Canal is a must-see, dynamically sheltered by more than 100 buildings ranging from the 13th to 18th centuries. The older Venice becomes the more refined its landscape appears, which never fails to leave its cruising visitors amazed. How Colmar has managed to stay hushed in the breathtaking country of France is quite the mystery. But you’d want to keep this French gem a secret too in order to prevent its picturesque streets from becoming overcrowded. If you don’t believe in love at first sight then you’ve haven't laid an eye on Colmar. That’s because it is an ideal place to soak up architectural splendor as well as the mystique surrounding its canals. Full of sophistication with a medieval presence to match, this capital of the Alsatian wine gleams in a display of candy-coated buildings adorning trails of quaint cobblestone. However, it is its channels that make it look like Venice has left a piece of its heart in France. When travelers are down for the ride, the canals swarm with small boats filled with stunned faces drawn by the artistry flowing through its watered-down veins. 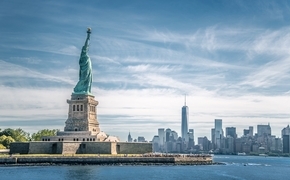 After all, the city stands out as a masterpiece on its own, whose profound works of art may have inspired its most famous resident Frédéric Bartholdi, the designer of the Statue of Liberty.